Welcome to Bella… with over 40 years build experience we are proud to offer this affordable living located on a 535 m2 block in the new Dawn release, Eden’s crossing, Redbank plains. Our ASPEN home offers easy care living with stylish mod-cons. There are 4 bedrooms including Ensuite & Walk in robe, open plan kitchen/dining/living and outdoor underroof patio ideal for Queensland’s summer evenings. The gourmet kitchen features Roman Stone bench tops with Stainless Steel appliances. This home has all you need with Bella’s high end PRESTIGE Inclusions (worth $47,000) and quality finishes that stand out. Deal directly with the builder and experience our personalized friendly customer service – what more could you ask for, you won’t be disappointed. 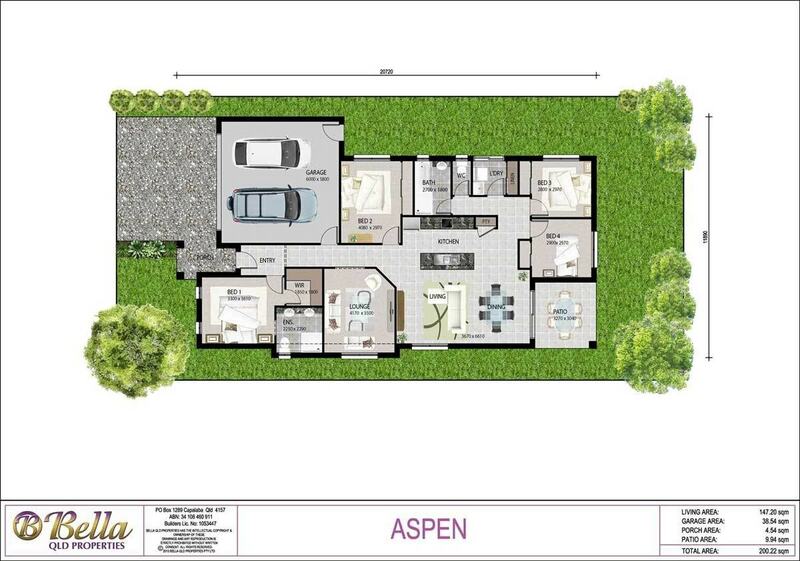 Situated in a fast growing area with affordable land prices SO YOU MUST BE QUICK!